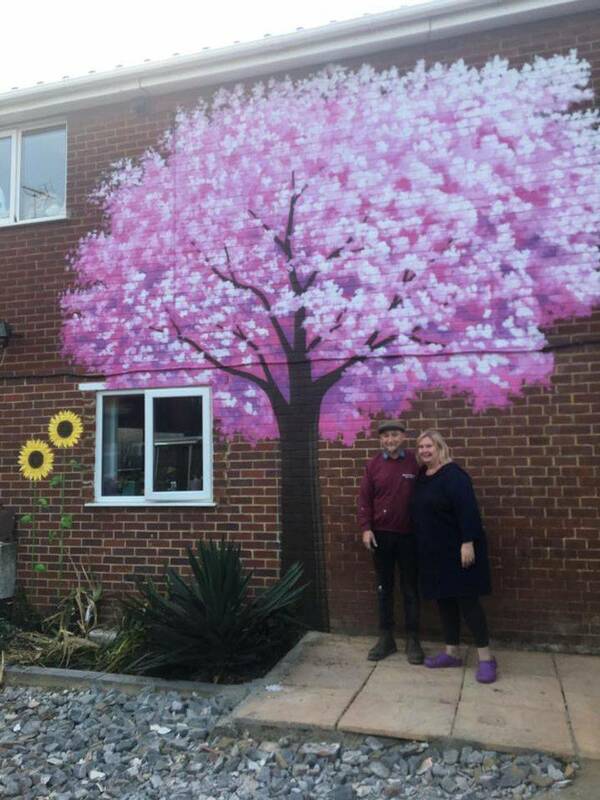 This large pink cherry blossom tree was painted on the side of a clients house as the couples anniversary gift to each other. We also painted two sunflowers next to the tree as this is a flower that has a special meaning to them. This mural took two artists two days to paint.